Often people believe their affairs are in order, especially if they are organized and intentional in their everyday lives. However, in the event of a sudden occurrence, the organization of our lives has little effect on how our affairs will be handled when we no longer can do so. Understanding the difference between a Will and a Trust and taking action, before trying circumstances, can help to relieve extreme emotional toll on any family. Having a Will, or certainly not having any estate plan, can result in a long, expensive and painful road ahead. The Will has to be filed, and a Probate estate is required to be opened for estates over $100,000. The process prolongs grief and prevents closure for at least 18 months. Comprehending the difference between a Will and a Trust cannot be underestimated. 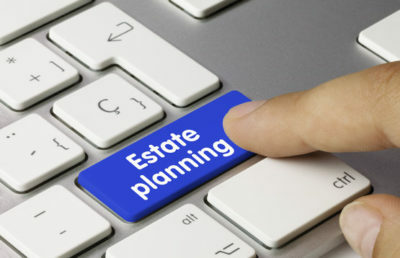 A fully funded Living Trust estate plan can avoid the long and expensive probate process, and your affairs can be handled privately, efficiently and quickly. Most people try to do the right thing, and just do not know there is a much better option for their intent and to protect their families inheritance. In Illinois, and in other states, anyone who owns property has the right to transfer that property to any person or entity, including transfers that would set aside the statutory rights of a spouse under the elective share law. Many uncertainties could defeat your best intentions for your family. Examples include a surviving spouse remarrying and your children being disinherited, outdated or omitted as beneficiaries on life insurance policies or deferred savings accounts. A properly drafted and funded Living Trust remains the best way to protect your intentions, avoid a lengthy and costly probate process as well as provides for your family in the most efficient way. Knowledge protects you. When searching for Chicago Living Trust attorneys, be certain to research the attorney’s experience. This research includes the number of Trusts the attorney has prepared and the number of clients represented, as well as the attorney’s reputation in the community. For more information regarding Living Trusts and to learn about the difference between a will and a trust please contact us today for a free consultation regarding your estate plan. Read more information on Living Trusts and a copy of our estate planning brochure.